I’ve always loved how Individual Throttle Bodies (ITBs) look in an Honda engine bay. 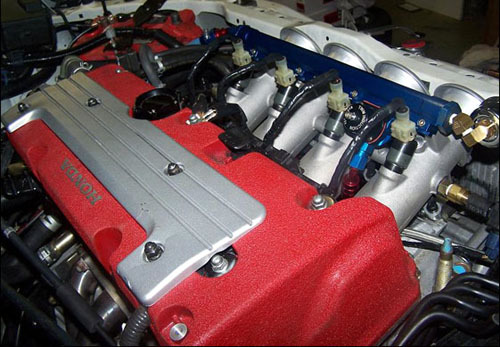 Twin Induction offers them for many applications including this set up for any K series Honda motor. 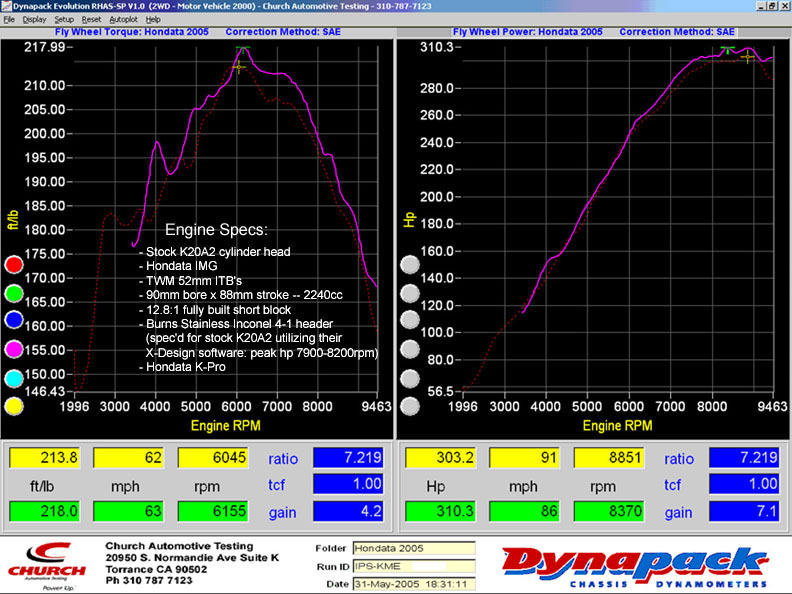 Coupled with the right components and with the right tuning, NA powered K series motors with these Twin Induction ITBs can make some pretty good power (over 300HP on a dynapack). 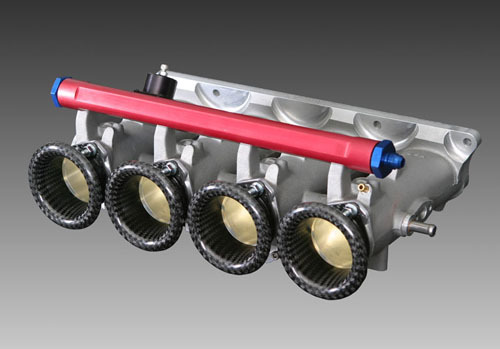 Twin Induction also has packages for any B Series, H Series, or F Series engine. Get yours with the carbon fiber velocity stacks to really make a statement! Designed with the serious motorsport competitor in mind, the 2000 Series brings the advantages of individual runner performance to many of today’s high output engines. These units breathe through four throttles into a runner designed to be a straight shot to the cylinder head where it joins the port at the optimal angle for maximum flow. Includes high capacity -10 fuel rail and adjustable pressure regulator which flows up to 700 lb/hr. Four injectors included. 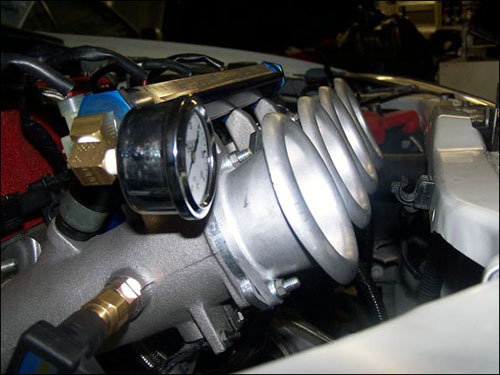 Our injector position is optimized for maximum horsepower. We can supply the unit without injectors if requested. TWM full radius air horns included. All kits have integral vacuum accumulators. Designed for use with aftermarket injection ECUs or modified and reprogrammed stock units [for example, Hondata]. Get more information at TWM Induction. ← STi brake upgrade on a budget!